Terracotta pre-dates most other forms of cookware & gives excellent results. 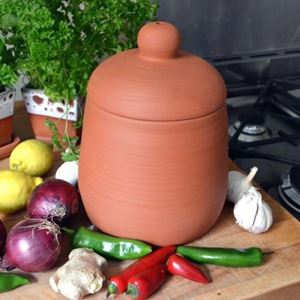 Based on ancient principles of cooking in earthenware containers over a fire our terracotta cook pots have been designed for use in conventional ovens. A clay pot oven within an oven. These clay ovens create enclosed steamy conditions where food is basted & cooked naturally in its own juices, with no added fat & more of the nutrients retained. The result is tender, succulent & full flavour roasts. 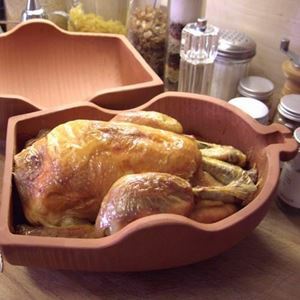 Our terracotta cooking range includes Chicken bricks, tandoori pots, pizza bakers, potato bakers & casseroles. All made to our own designs in the UK.